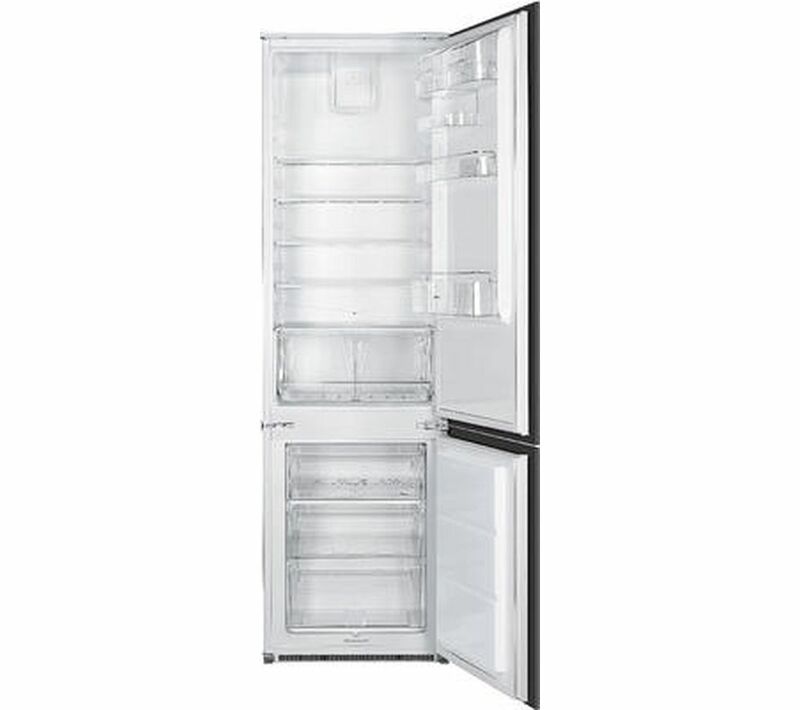 If you love eating fresh food, this Smeg C3180FP Integrated Fridge Freezer is the ideal choice for you. With 301 litres of space in the fridge and 75 litres in the freezer, you can store plenty of fresh produce in this A+ energy rated appliance. Position this fridge freezer anywhere in your kitchen thanks to the reversible doors. Great if you're replacing an old appliance, the doors can be left or right hinged so you can feel confident that this fridge freezer will fit in seamlessly with your existing layout. When you're adding new items to the freezer, you can rapidly freeze it with the fast freeze function. This keeps nutrients, aromas and flavour locked in, ready to be enjoyed when you want. ___________________________________________________________________________ PLEASE NOTE: Use in outbuildings: This refrigerator is not designed to be used in an outbuilding – both your food and the appliance can be damaged. Do not use it in any unheated area. We can also install your new appliance on the day we deliver, for most of Ireland. Just add installation at the 'Confirm basket’ page at the checkout,charge applies.